The following are the memories of a tired and old, but proud Marine. I am glad that at 18 years of age he made the choice to defend his country and insure the freedoms that we now enjoy. He could not have known that this decision would effect the rest of his life. The things he saw, the things he did all had a profound effect on the decisions that would later be made in his life. He had chosen to sacrifice his youth because of the great cause of freedom, in later years he would sacrifice to provide for his family. 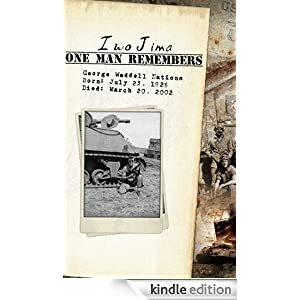 The story told here is just one of many that occurred during this time in American History and to this generation, but it is his story, told in his words. He was truly an American Hero then as told by this remarkable story. He remains today a hero to all of his family. He loves his country and he loves his family. We will forever be grateful for his sacrifice both on and off the battlefield.